Say goodbye to ouchy giveaway. for the scratchy, annoying camera straps and has even managed to make them sassy. How would you like to make your life better and win a camera strap slipcover? Even one that your husband wouldn't mind being seen in? If he minds those things... mine does. Just pop on over to Shey's shop and peek around. Come back and let me know which are your favorites. 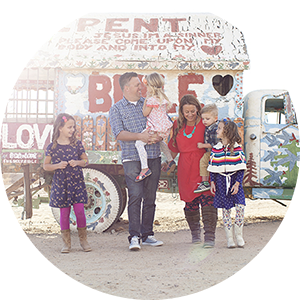 Want to increase your chances of having a more cozy photo session? Blog about Shey, her brillance and this giveway and get five more entries. Did I mention she is even making some with yo-yo's? You know I love me a good yo-yo! The lucky winner will be chosen on Monday. My favorite is the Cha Cha Carnival Camera Strap Slip Cover 2 SIDED. Blue Honeycomb Camera Strap Slip Cover is a good one that isn't too girly. My husband has said no to a strap cover, but I will get one on there some how. I really like the Little Birdie Camera Strap Slip Cover. So cute! So many cute designs I like the Autumn Dream Camera Strap Slip Cover and little birdie one as well. Thanks for the chance! My absolute favorite is Little Birdie Camera Strap. I think my mother would love it too, which is who I'd give my strap to if I won. She has two cameras she carries around and think it would be lovely for her to have a snazzy camera strap slip cover! I love all the fabric that she uses. I think I like the Autumn Dream the best. I love the Autumn Dream one and the turqorange sherbert!! The little ball rattles are neat too. I am in desperate need of a cute camera strap! I love the fruit salad strap! I am a big fan of the Cha Cha carnival! I have two favorites, the Cha Cha Carnival & the Little Birdie. I'd love to wear this proudly on my Father's old 35mm SLR camera which he has given me. Due to his struggle with moderate to severe stages of Alzheimer's, he can no longer remember how to use it. Okay, I am going to have a little cry now. God Bless! and good luck to everyone! Such cute camera straps. I love the wallflower moon camera or just the simple black and white. Such cute camera strap covers. Thanks for the fun give away. I love the Cha-cha carnival, and the black and white......these are so cute!!! I wrote a post a few minutes ago, and meant to say "Hi Julie". Sorry, I've been up everyday at 4am with my baby girl Bronwynn. Oh man there were way to many that I loved to pick just one. And my hubby just bought me a new camera as an early Christmas present and I would LOVE a slipcover for the yucky boring strap. Please pick me! ohhhh, shea's camera straps are my FAVORITE! i love the wood grain, but also love the pear one too...pretty much, i love any of them. i want a cozy photo session! I love the cha cha carnival 2 sided one....two different looks. So cute! Oh!!! Seriously?!! Sign me up sister!! You are right...it is a hard choice! 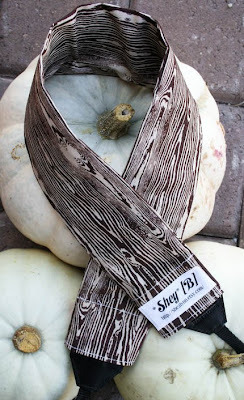 I am loving that carnival bloom print on your blog, but I also am a big fan of both the black and brown damask prints!! Once I get my nugget down for her nap, I am going to update my blog and I'll be mentioning this for sure!! Thanks for the chance Julie! I have been lusting after one of these for MONTHS now!! I like the autumn rose. the autumn dream strap is my favorite! and just in time ~ we are getting ready to buy a new camera. this would be a wonderful help! i would love to win! 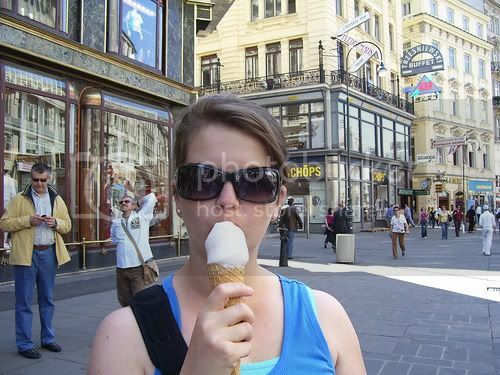 do you have any suggestions on cameras? we are leaning toward a canon rebel. i'm attempting right now to add to my blog too! First I have to tell you that I came across your blog from another that I read, your story and your faith is amazing! Thanks for sharing and being an inspiration. What a great giveaway!! I love the cha cha carnival. You're right - it is hard to choose! But my favorite is Martini! Thanks! I LOVE these! Cha Cha carnival is my fav! Primrose brocade is my favorite. It's a great idea! I like the Autumn Dream Camera strap slip cover. The Autumn Dream Camera Strap Slip Cover is so much fun! How creative! My favorite is the Autumn Dream! So cute! My favorite is the cha cha carnival strap, but I really like the autumn dream too. wallflower moon is my favorite! thanks! love your blog! I like the Cha Cha Carnival Camera Strap Slip Cover 2 SIDED. My favorite is the Classic Black And White Damask Camera Strap Slip Cover. It looks like it would be a lot more comfortable than our regular camera strap. I like Autumn Wallpaper. Thanks for offering this contest! My favorite is the Summer Fun Camera Strap Slip Cover! I so want one of these!! Even asked for it for anniversary and huby went huh?? So I know im not getting it!! I would love ablack and white one!! Lavender Dreams is my favorite since purple is my favorite color. Great giveaway, thanks! I love the fruit salad one, it is very spunky. It would be great for my school camera. I am the yearbook advisor at my school and I carry it around all day. Summer Fun is my favorite. Brilliant idea! My favorite is the Wallflower Moon Camera Strap Slip Cover. I <3 the red! I am IN LOVE with the autumn dream!!!! So cute!!!! Magical Forest Camera Strap Slip Cover baby!!! how cute they all are! Love the fabrics and colors. My favorite is the "Little Birdie". My fave is the Classic Black And White Damask Camera Strap Slip Cover WITH STACKED YOYO. These are great! My favorite is the Lavender Dreams Quilted Camera Strap Slip Cover. Have a great day! I love the Cha Cha Carnival Strap...I'd have to buy a yoyo to go with it #9! Yay Thanks for such a sweet giveaway! 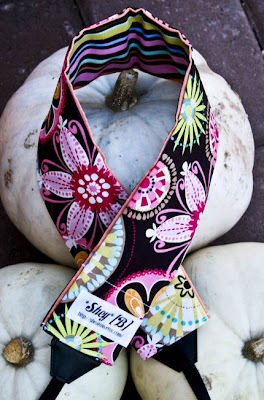 My favorites at Shey are the Lavender Dreams Quilted Camera Strap Slip Cover and Poppyfield Dream Camera Strap Slip Cover :) *Thanks* for the giveaway! My favorite is the Autumn Dream Camera Strap Slip Cover. the Autumn Dream Camera Strap Slip Cover is sooo pretty! The Cha Cha Carnival Camera Strap Slip Cover is cool! I would love to win! Thanks so much for the giveaway! Great idea! Love the Woodsy. Thanks for the chance to win! I love Martini and Damask, but the dude in the house would probably prefer something Woodsy. Thanks. I like the classic black and white! She needs to make camera bags to match!! all I can find is yucky manly looking ones!! 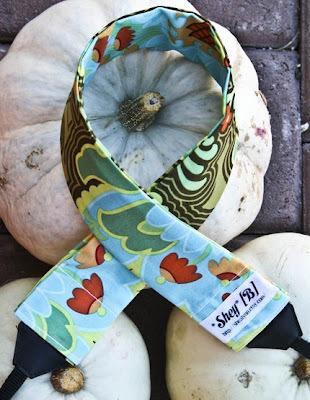 I love the Fruit Salad Camera Strap Slip Cover!